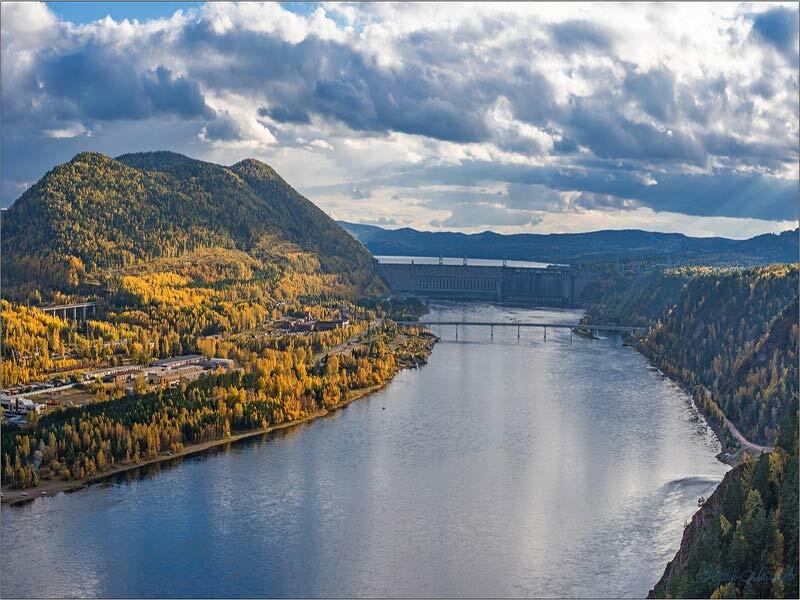 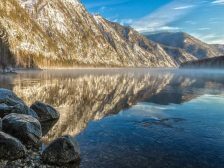 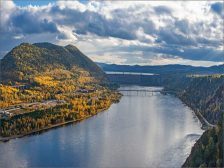 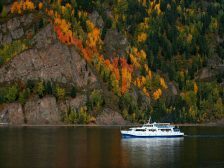 Geography: Yenisei is one of the longest and deepest rivers in the world. 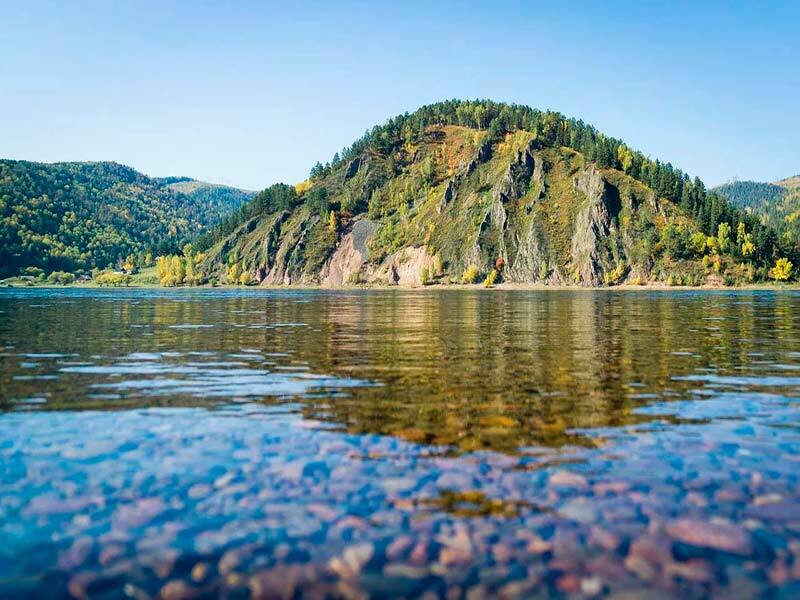 It takes the second place among the rivers of Russia and Eurasia. 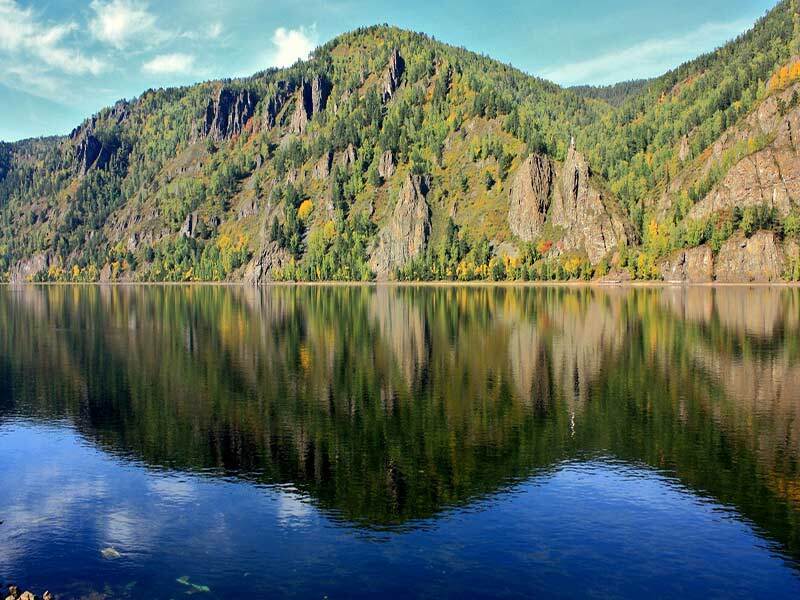 The Yenisei River is the natural boundary between Eastern and Western Siberia. 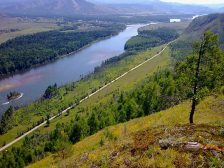 Area: 2 580 000 km ². 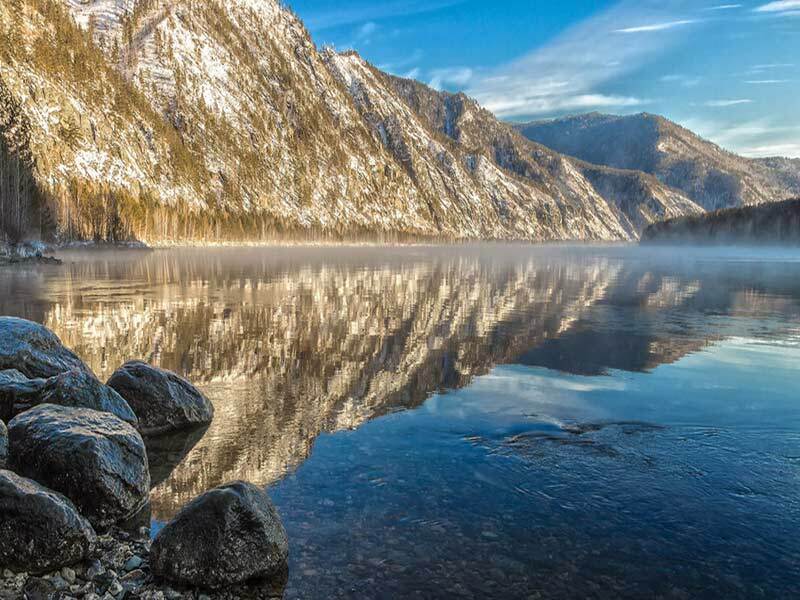 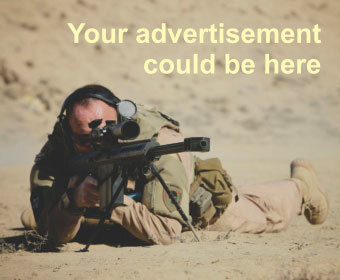 Depth: The average depth is 40 meters. 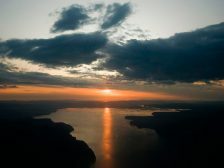 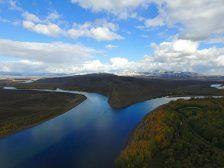 Water type: Approximately 50% of the water the river receives from the melting of snow and glaciers, about 36% – from rain, 16% – from groundwater. 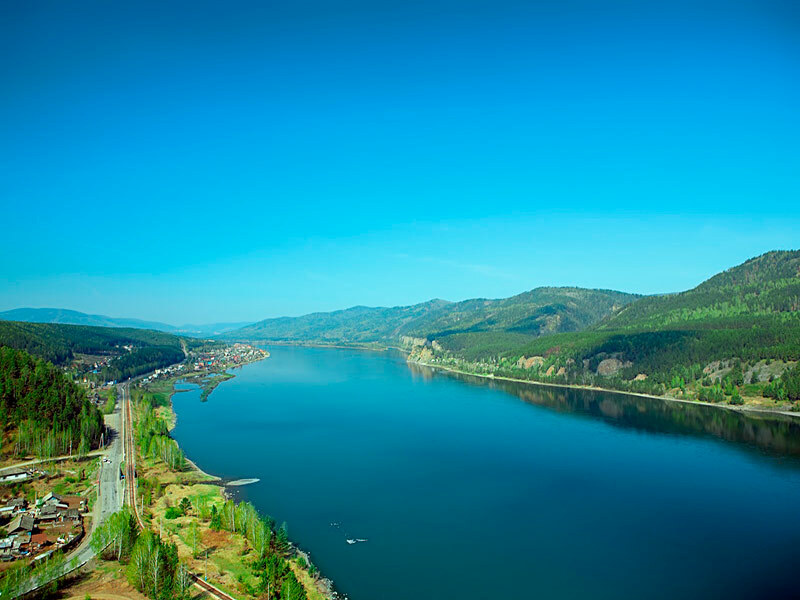 The average discharge of water in the estuary is 19800 m3/s. 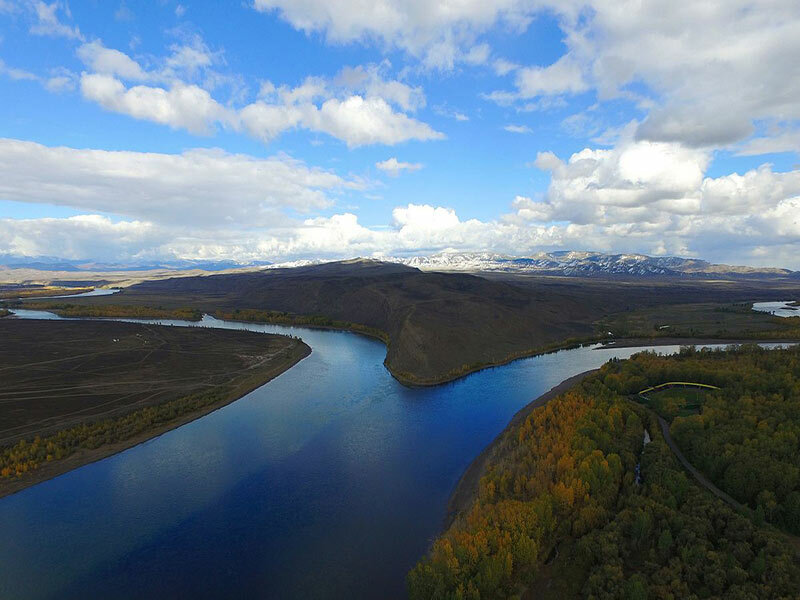 In the upper stream the river freezes in the middle of October to the beginning of November. 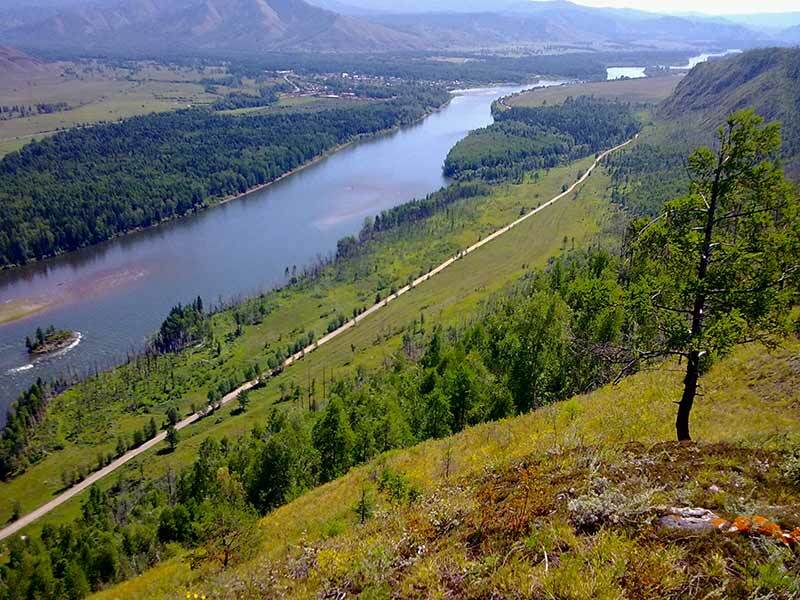 In the lower stream, the ice stands from October 1-20 till June 10-20. 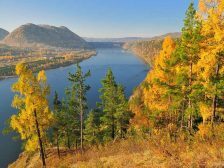 In summer and autumn, the river level is low. 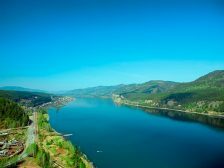 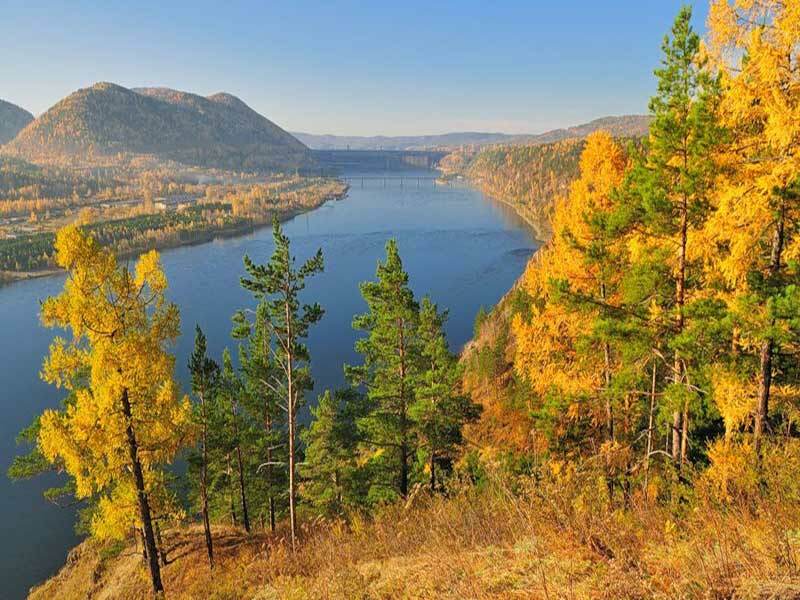 Due to the quality of water, the Yenisei River is characterized as polluted one. River source: The sources of Yenisei are the rivers Kaa-Khem (Small Yenisei) and Biy-Khem (Big Yenisei). 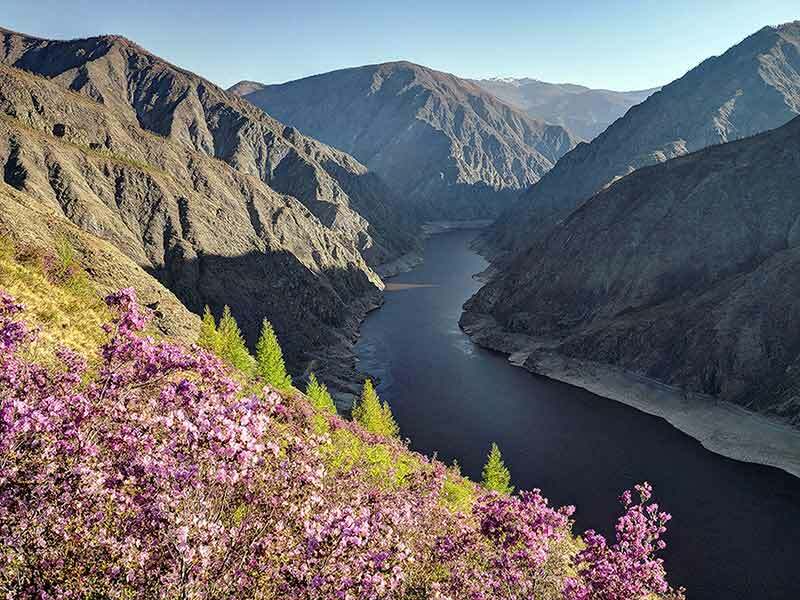 The river Biy-Khem is the right source of the Yenisei. 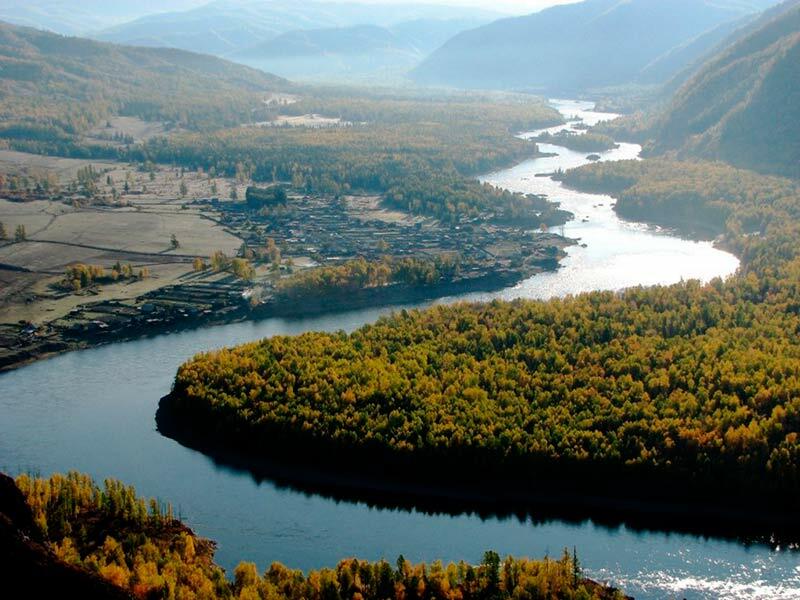 Kaa-Hem belongs to the Yenisei basin. 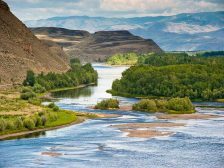 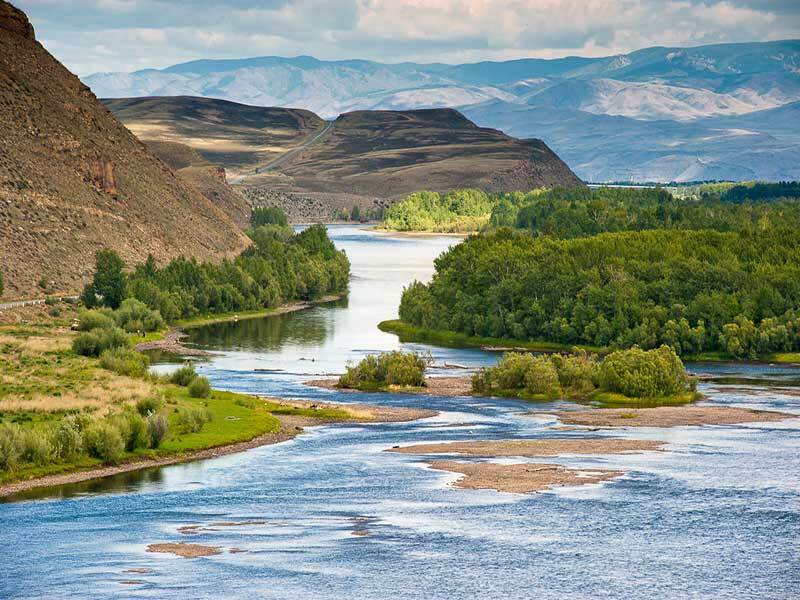 The river flows through the territory of Mongolia (Small Yenisei), Tyva, the Krasnoyarsk Territory, the Taimyr Autonomous District and flows into the Kara Sea of the Arctic Ocean. Fish species: char, carp, pink salmon, ruff, minnow, verhovka, yelets, smelt, carp, muksun, omul, tench, nelma, bream, burbot, perch, sturgeon, gudgeon, vendace, roach, sterlet, taimen, peled, trout , catfish, chir (chokur), grayling, shark, thorn, ide, beluga. Time for fishing: The Yenisei River has a rich variety of fish. 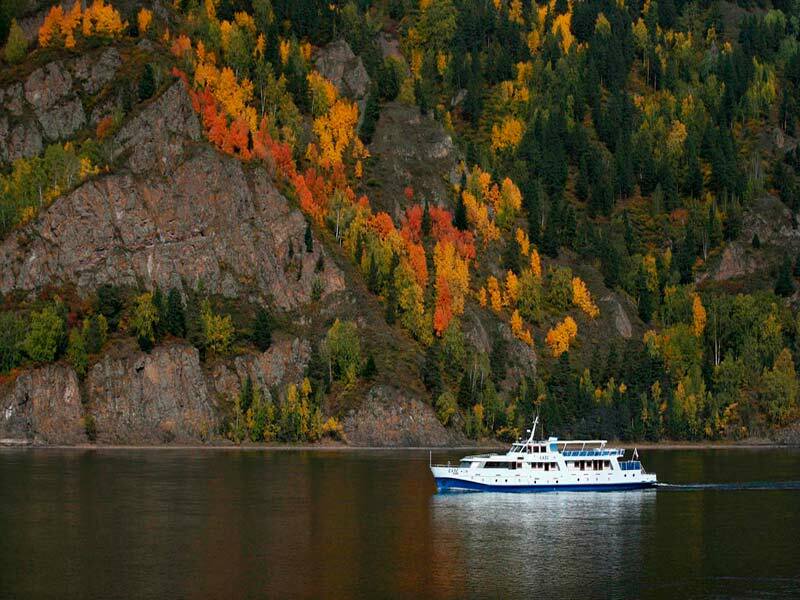 For the winter fishing on the Yenisei there is always a convenient place. 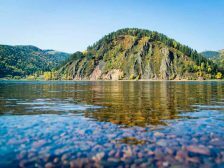 However, everything depends on the place of fishing, that’s why fishing on Yenisei in the upper and lower streams is different.